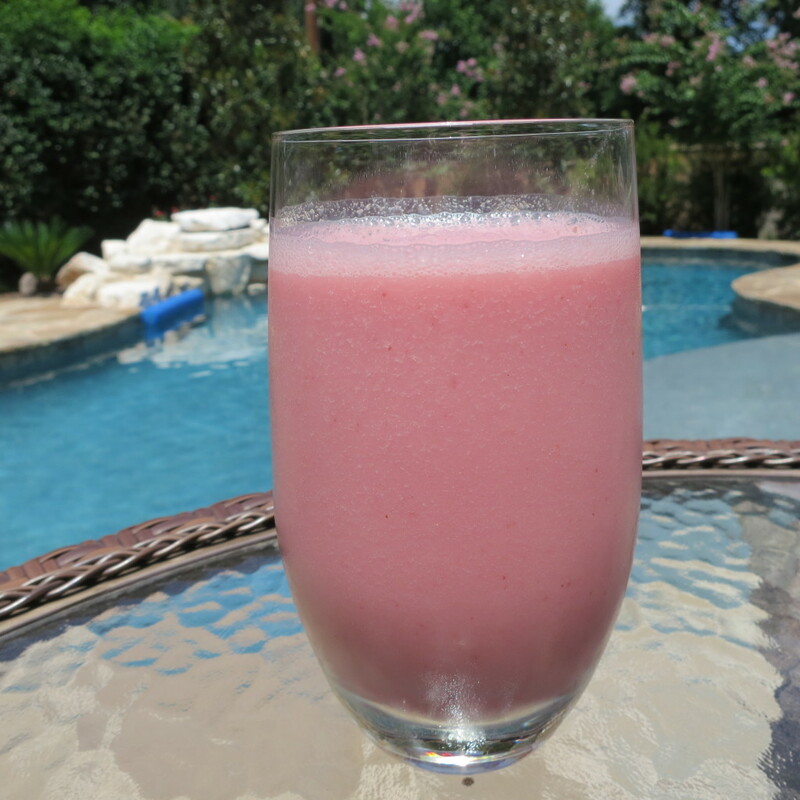 Today I’m sharing another new favorite smoothie recipe – a refreshing watermelon smoothie! Don’t you love the pretty pink color?! When I first started seeing recipes for watermelon smoothies this summer, I was a little skeptical. First, I’m not a huge melon fan. Watermelon is the only melon I really enjoy. Second, the idea of watermelon in a smoothie just didn’t sound like it would work. Clearly, I eventually tried it and found a combination that I love! 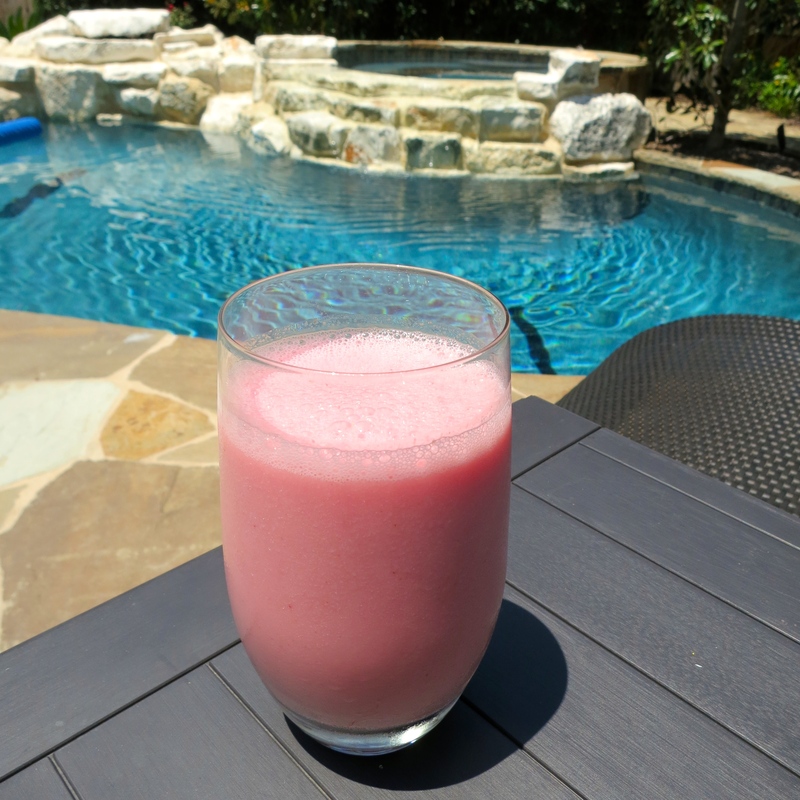 The strawberries add a little extra sweetness, the yogurt adds the perfect amount of creaminess to make it more like a smoothie and less like an icey drink, and the watermelon and ice make it very refreshing on a hot summer day. 1)	Place all of the ingredients in your blender and blend until smooth. With a Vitamix, start off on a low speed and gradually increase the speed. *Note – you can use vanilla greek yogurt instead of plain, just omit the honey. 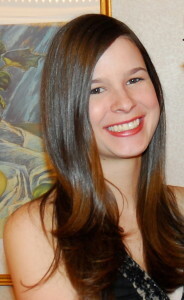 This entry was posted in Gluten-free, Recipes, Smoothies and tagged smoothie, watermelon. Bookmark the permalink. Nice back drop for your smoothie! Hi Caroline, I have a Vitamix too, and I too make the occasional watermelon smoothie! It is good with just watermelon but very thin, more like watermelon juice, so I like your idea of adding some yogurt to thicken it up and strawberry for a more complex flavor. Thanks! I actually haven’t tried simply blending pure watermelon yet, but I bet that’s good and refreshing too. Watermelons are very refreshing and very popular during summer. I will definitely try this recipe. Thank you!